Main Room mashup DJs Adrian A and Tyme mash up two of the biggest electronic duos with anything and everything! And at 11 PM, live on stage, the all-male boylesque revue MANARCHY takes over for a special show! Plus four rooms of music for one price, and ins-and-outs are back! 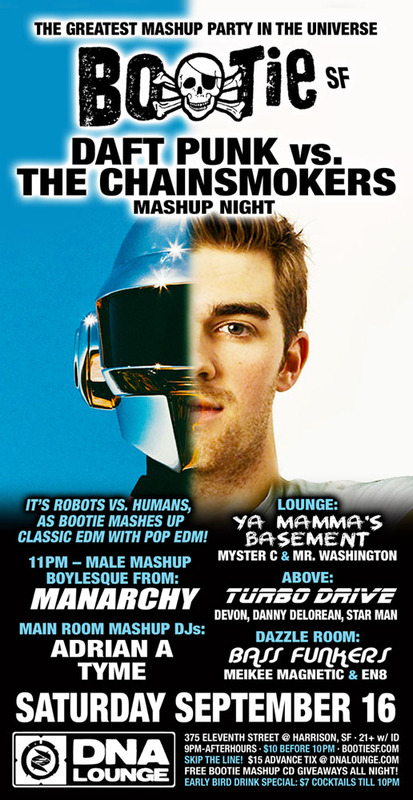 It’s robots vs. humans, as Bootie mashes up classic EDM with pop EDM!